A beautiful spring day had brought together a band of people who wanted to honor the memory of a Titanic victim, Kate Buckley. Sitting under a tent, waiting for the service to start, Shelley Dziedzic began talking to a friendly-looking couple next to her. They were local to the Brockton, Ma area. 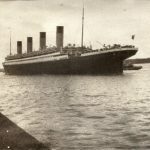 When Shelley mentioned the various ships she and I were interested in, the couple chimed in, “Oh we had a relative on the Lusitania!” Inquiring as to who it was, it turned out, it was the Coughlin family that I had researched, along with Jean Richards-Timmermeister, and had turned up much information on. Shelley had always made me aware of being friendly to the people next you, they may have something of interest to contribute. Thankfully, due to her advice, Mr. and Mrs. John Sullivan have become friends who added another piece to the puzzle which is the last voyage of the Lusitania. Childhood memories run the gamut from fleeting flashes to detailed sequences. Louise Kink Pope was four when she survived the Titanic and the incident was completely wiped from her mind. 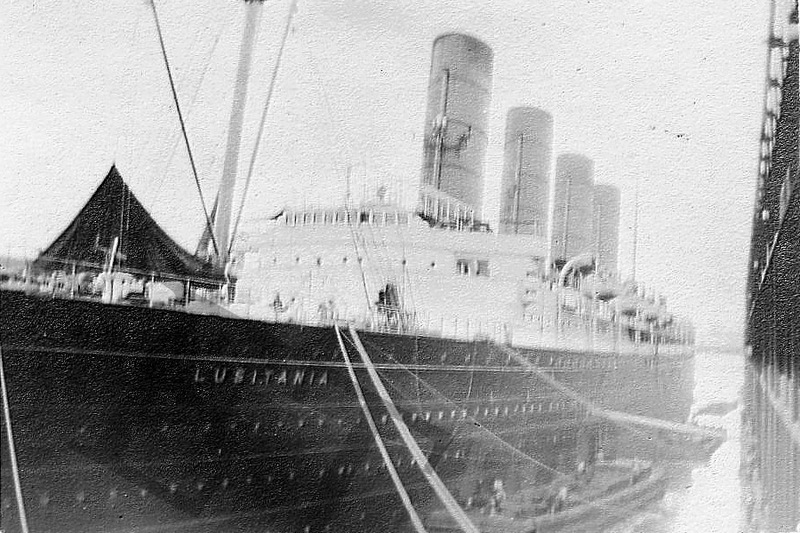 Barbara McDermott was nearly three and had strong impressions of her Lusitania voyage. 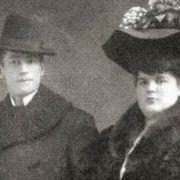 John ‘Jack’ J. Coughlin of Goleen and Katherine ‘Katie’ O’Neil of Castletownbere were typical of Irish immigrants who came to America for better opportunities. He came in July of 1900 and settled in Montana where he had family. They met in Butte, and married on July 20, 1905. He found work at the Gray Rock mine where his wage was generally $24.50 to $28 a week and she bore the following children; John, Margaret, and Jeremiah Bernard. 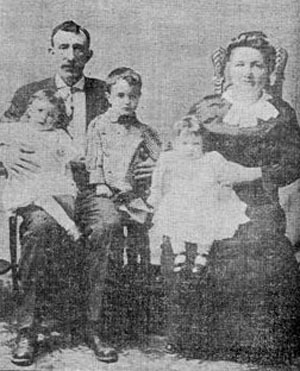 Despite the fact, a portion of both the Coughlins and O’Neils were living in Montana, a feeling of home sickness must have weighed heavy on Jack and Katie’s minds and influenced their decision to return to Ireland for good. 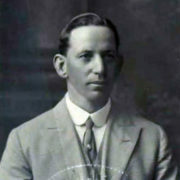 A cousin, Dan Coughlin, who also worked in the mines with Jack was to accompany them, but intended to return. The house on Pennsylvania Avenue was sold, household items were packed. One thing they could not sell was a prospect claim. They chose the May 1, 1915 crossing of the Lusitania. 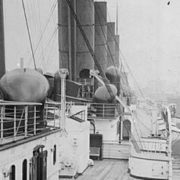 Once aboard the Lusitania, they must have noted the large number of children aboard in third class. A group of passengers surmised that the Germans would never sink a boat filled with Americans and children. Had the Coughlins heard of the danger of submarines, this thought may have comforted them. There were quite a few Irish passengers aboard and no doubt Jack and Katie talked about their excitement with them about returning to ‘the old country’ after such a long time away. It was a sad day for me in Queenstown, looking for Jack Coughlin’s body and that of his child. I found her in the Cunard offices from a description her mother gave me of the little dress she wore. When I finally found her I could hardly believe she was dead. Her eyes were open and she was smiling, a bruise upon her left cheek being the only mark of disfiguration. They had enjoyed a most pleasant voyage until they ran into their fate about ten miles off the old head of Kinsale. Their baggage had been brought upon deck and they were prepared to land at the earliest moment. About half an hour after dinner, Katie (Mrs. Coughlin) went down to the lavatory room to wash some little things for the children. She had been there no more than ten minutes when she heard the awful crash, and picking the little girl (Margaret) up in her arms she ran on deck to where she had left Jack but a few moments before. She called and called to him, but could find no trace of him. He had left the older of the two boys on deck, evidently so the mother would see him, and must have been searching for life preservers, but could not make his way back. No trace of the younger boy was found at the time. Katie clung to the little girl and waited for the end, whatever it might be. A wave came and washed them overboard just before the boat sank, and she and the child were separated. Katie went to the bottom, and when she came to the surface her face was covered in rubbish of the sea that was like cloth. Clearing it away, she swam around trying to locate the little one but did not see her again. She was three hours in the water before being picked up. Then Katie was taken to a hotel in Queenstown, crying for her husband and children. Upon being told that a little boy had been safely to land, she asked to see him and was almost overcome with joy to find that he was her own, whom she mourned as having met the same fate as her little girl. There is no description of what became of Jeremiah Bernard, who was called Bernie. Most likely his father escorted him to a boat and stepped back into the crowd. Years later, John described his experiences for the Sydney Morning Herald. I was only five at the time. It is all a rather confused memory. 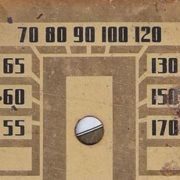 I remember the noise and the general confusion. I was placed in a lifeboat and was eventually landed in Queenstown. My mother and brother were saved, but my father and sister were drowned. 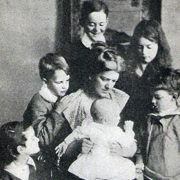 Mrs. Coughlin temporarily took up residence with her brother, but eventually moved out on her own, although her family contributed to their welfare. According to relatives, she may have run a boarding house to keep herself afloat. She filed a claim for the loss of her husband and daughter, and let it be known, in order to help her case, that she intended to return to the US. Her brother Cornelius, who lived in Massachusetts also filed a claim. He said he was “deprived of the love and society of said Margaret and on account of the shock sustained by him.” The court did not find his claim valid, but due to John and Bernie being US citizens, they were awarded $2500 each. 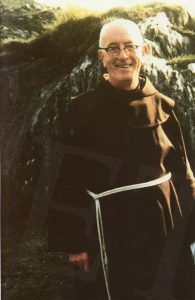 John had a spiritual awakening and become a Franciscian priest in July 1933. 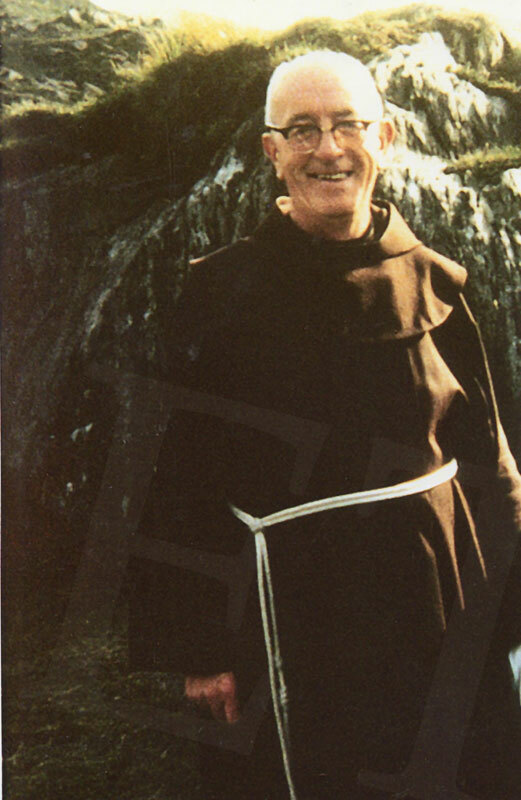 His new name was Conleth Coughlin, OFM. He resided in Auckland, New Zealand, but traveled around as part of his duties. The sea did not bother him, as evidenced by his voyages aboard the Mariposa and Caledonian, among others. He frequently visited Ireland and as the Franciscian Friary in Wexford was his other home. He died there in December 21, 1980 following an operation for an anerusym. His brother Bernie moved to England and worked as a carpenter, married Biddy Stratton, and died in Hillingdon at age 63 on September 26, 1977. The story does not end there. 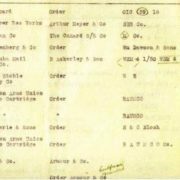 Following correspondence reveals that not only was Mr. Sullivan related to a survivor of the Lusitania, but his wife learned through second cousins that their great aunt was Helen Wilson, a maid to Mrs. Spedden on the Titanic!